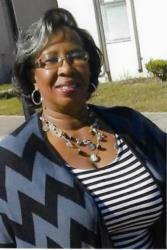 SAULSBY-MAYO - Dessie L. Saulsby-Mayo, a resident of Jacksonville, Florida passed away on November 2, 2018. Funeral Service will be held on Saturday, November 17, 2018 at 11AM at Riverview Church of Christ, 2053 Soutel Drive. Ms. Saulsby-Mayo's remains will rest for visitation of family and friends on Friday, November 16, 2018 from 4-7PM at the MIXON TOWN CHAPEL of Q.L. Douglas Funeral Home, 2403 Edison Ave.
To The Mayo Family, I am truly sorry for your loss. May the God of all comfort and tender mercies sustain you during this difficult time (2 Corinthians 1:3,4). So sadly missed, I'm sure you are having a Great time in Heaven, God has Blessed you.